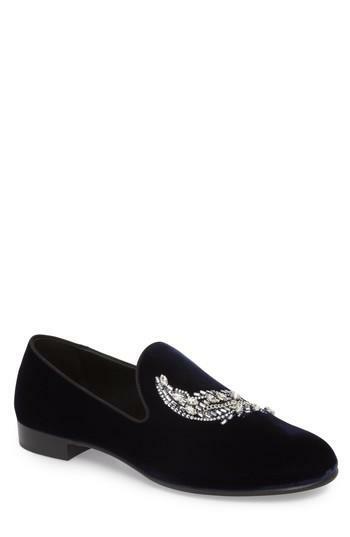 Free shipping and returns on Giuseppe Zanotti Swarovski Venetian Loafer (Men) at Nordstrom.com. Pre-order this style today! Add to Shopping Bag to view approximate ship date. You'll be charged only when your item ships.A curving feather shaped from Swarovski crystals alights at the toe of an indulgently comfortable Venetian loafer shaped from inky velvet.